We’re fully embracing the warm summer weather and having fun with some summer crafting. 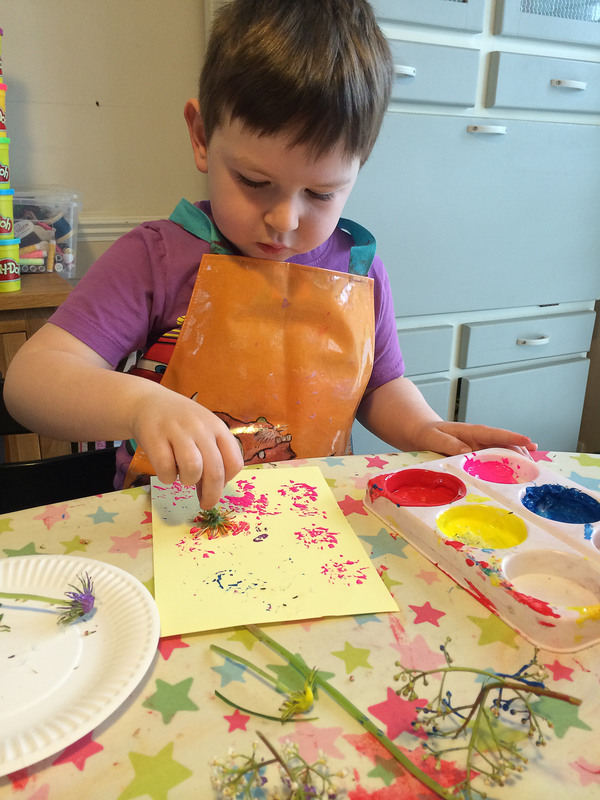 It’s lovely to see our garden bursting with colour and we decided to pick some flowers and try painting with them. 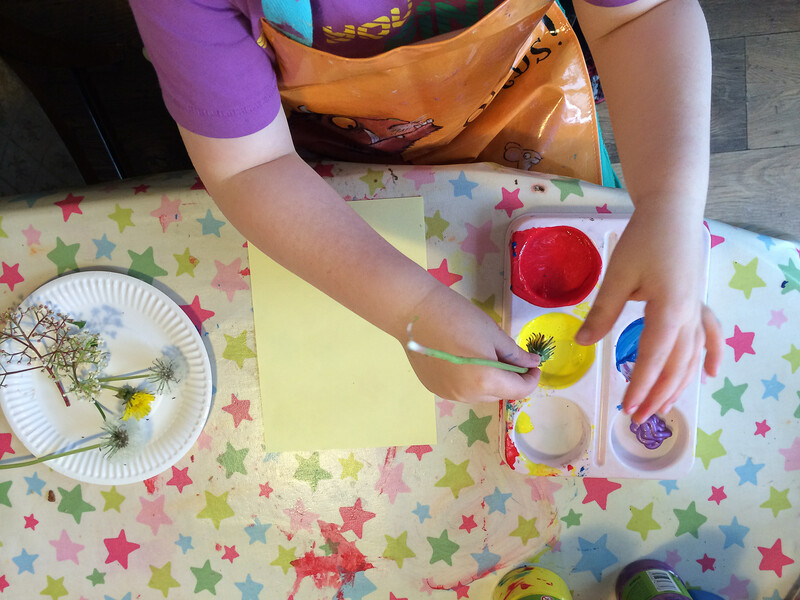 The children were excited about painting with something other than a sponge or paint brush. We headed out into the garden and looked for flowers we could pick. We found daisies and dandelions and other things I don’t know the name of. We picked them with enough stalk to hold on to, like a paint brush. Then we poured paint into the paint tray. 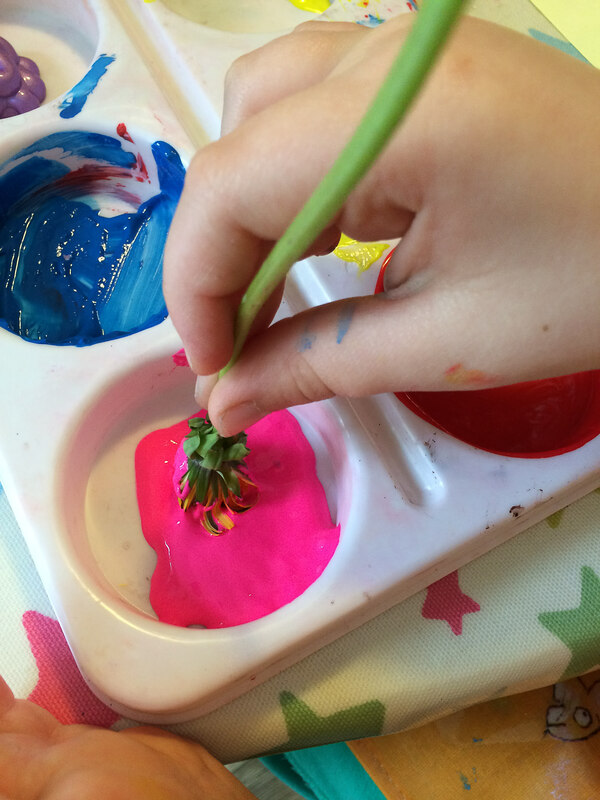 My 4 year old enjoyed using the flower heads as a paint brush. We talked about the different flowers and if they made a suitable paint brush. He made patterns on the paper and I just left him to be as creative as he wanted to be. He built up layers using the different flowers until they began to disintegrate, and explored mixing colours. This is a lovely simple craft, we’ve tried it with leaves too but it was pretty messy and not nearly so satisfying. Such a fun idea. 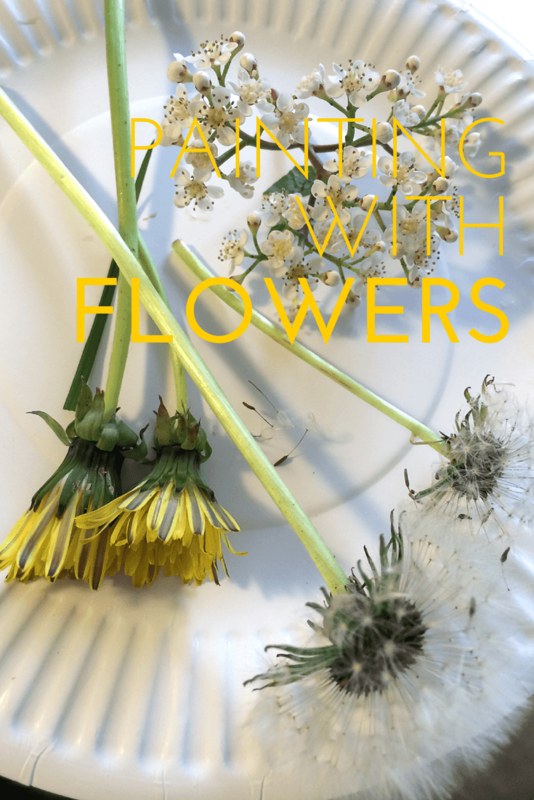 I’ve printed with potatoes and leaves before, but painting with flowers is such a fab idea. Amy would love this. Thanks for linking up with Monday Parenting Pin It Party! What a fun idea. I saw a t shirt printed with celery the other day, end stalks were all cut off so it was just the base where they all join, it made a flower print. I think I pinned it somewhere, but it was very cool. Honestly what will you creative people think of next! That’s a lovely way to paint and explore. We did something similar with daisies earlier in the year, the children loved it. 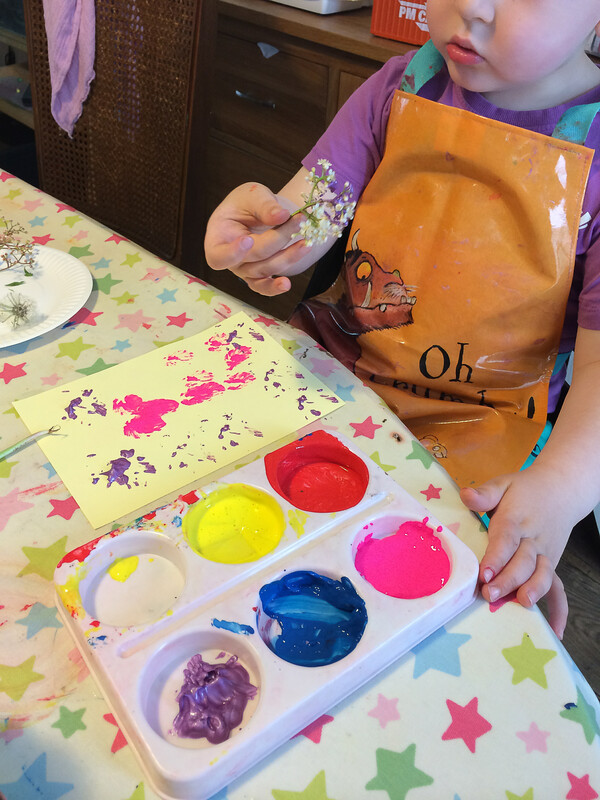 what a wonderful activity for little ones!